We're very pleased to announce that we have appointed John Browett as Board Advisor. John brings a wealth of commercial experience and connections in the retail and technology industries which will be invaluable as we plan pilots with UK supermarkets. Mobile technology is becoming increasingly important to retailers and John’s knowledge of these sectors will help us to deliver the best solutions. 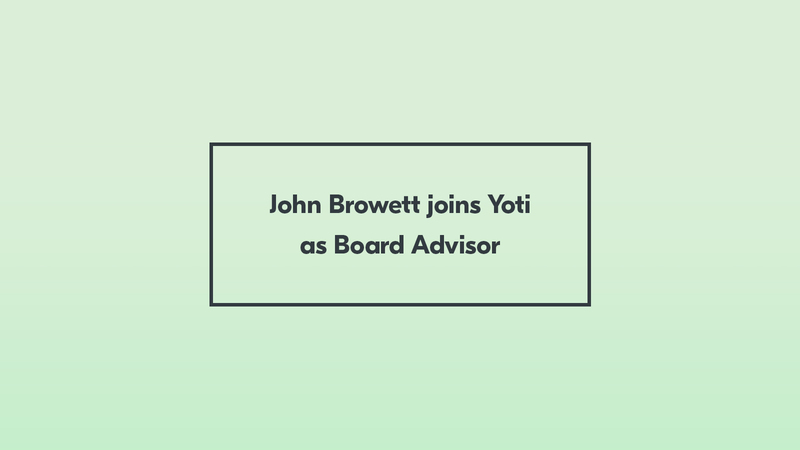 We now have over 200 employees at Yoti and we’re really excited to welcome John as an advisor. Prior to this, John spent 9 years in senior management roles within Tesco during which he successfully launched Tesco.com as their CEO. He was CEO at Dixon’s Retail for over 4 years, Executive Chairman at the Dunelm Group and Monsoon Accessorize, and Non-Executive Director at EasyJet. He’s also had experience in Silicon Valley as Senior Vice President of Apple's Retail division. Speaking about his new role, John said: when I was first introduced to Yoti I could immediately see the huge potential in their vision to create a global trusted identity platform. Identity plays an integral role in almost any business and Yoti has a huge opportunity to be the go-to platform. Having now met the rest of the Board and Management team I am confident Yoti are in a great position to succeed and I’m delighted to join the team at this pivotal stage in their journey.